On Saturday April 13th Andy and the F&F X1 crew rolled out the spare car. Andy qualified 7th in his group and transferred with a last lap pass for that final transfer spot. 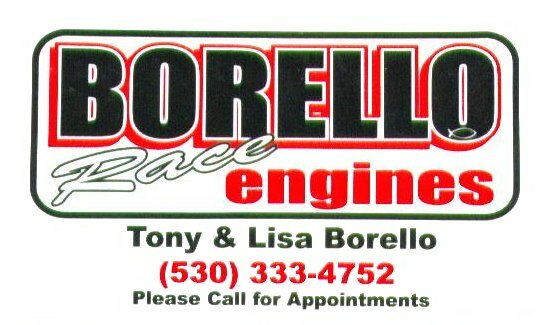 Andy started 18th in the A main event. 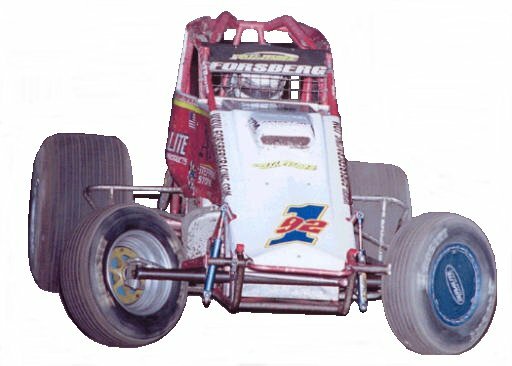 Andy immediately struggled to get going and by lap 8 he was down a lap and at that point he pulled in to save the car for another night. A frustrating ending to a already rough weekend. 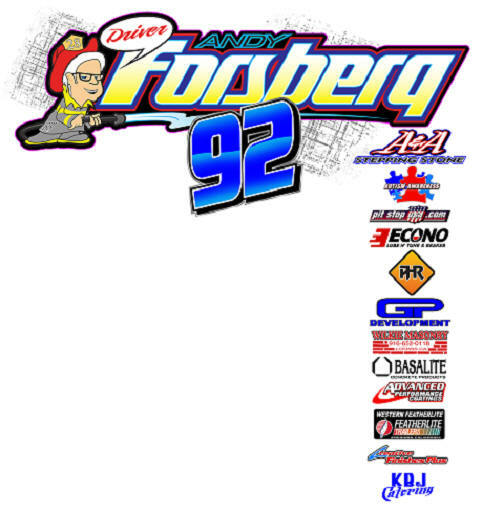 This upcoming weekend things look to get back to normal as Andy will be in Chico CA Friday April 19th driving the Forsberg Family #92 for the 1st points show of 2019. 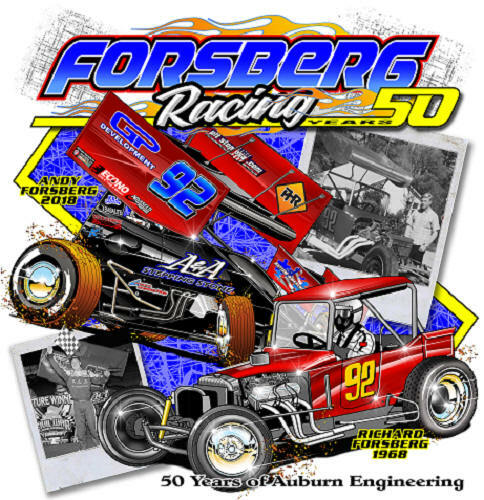 On Saturday April 20th Andy will be in Placerville CA driving the F&F X1 for a regular track points show. Thank you all for all the well wishes and concern for Andy he wants everyone to know he is doing just fine, its part of racing to crash, Andy does not do it very often but he feels very lucky to have great crew members, owners, sponsors, family and friends to get him back out on the track each and every night and put a car under him that is safe. If anyone wants the new 50th year T-shirt please email Candace and she will give you the information for purchase. 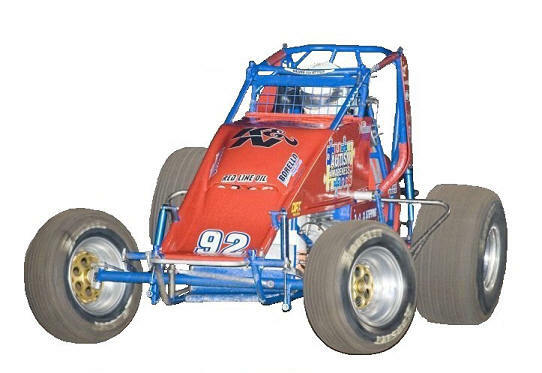 The clip below is the Forsberg #92 run what Ya Brung event in Petaluma that Andy opted to start at the rear of the field of so as to not upset anyone do to the fact he was so much faster then the rest of the field. 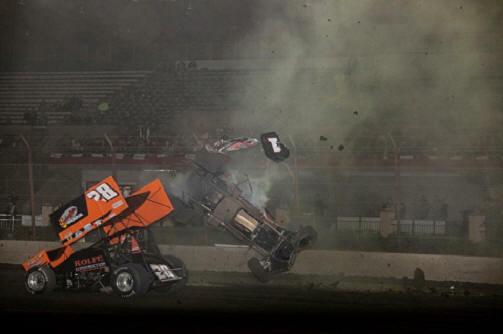 Highlights from September 3rd's open 360 sprint car show from Petaluma Speedway. 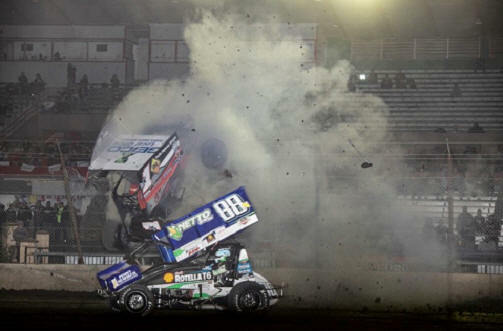 Highlights include several incidents before the main event and main event highlights. 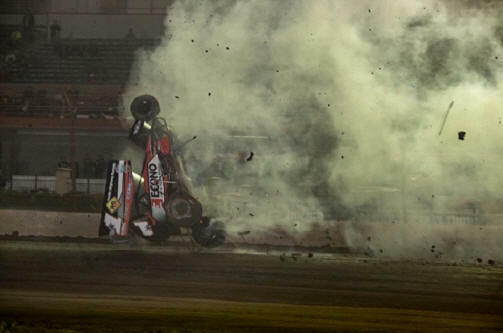 All of the drivers involved were uninjured. Brought to you by surfnsprint.com. Send mail to boozrcn@hotmail.com with questions or comments about this web site.